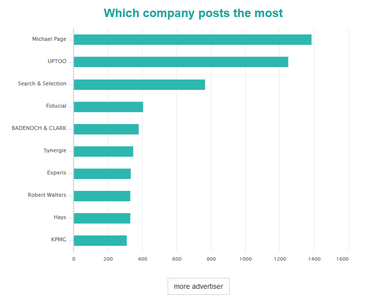 This analysis option lets you learn about your potential competitors, the companies that usually post on a job board in particular as well as the volume of adverts posted over the course of the previous year. 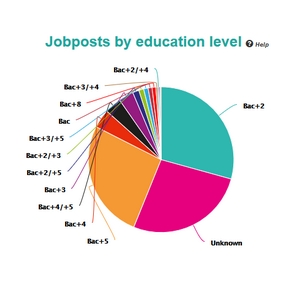 This analysis option lets you learn about the level of education required for the candidates to apply to the adverts published on each job board. The ‘unknown’ section means that the level required for posting is not specified. 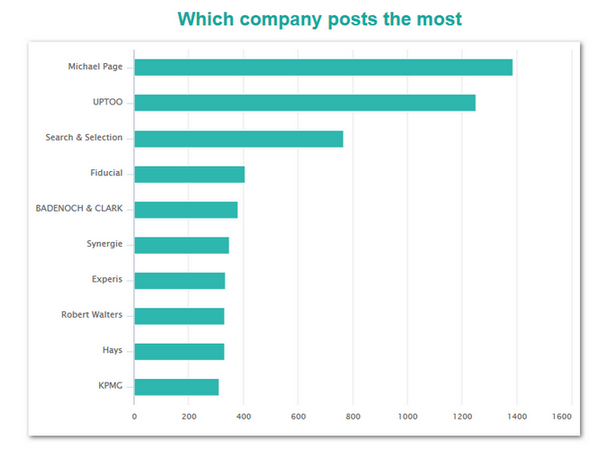 This analysis option lets you learn about the evolution of job advert numbers posted on a particular job board each month over the course of a year. 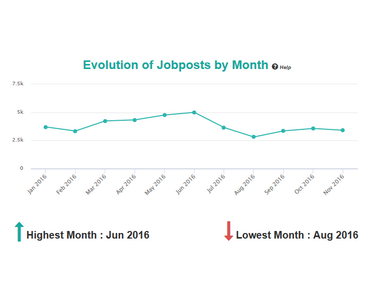 You can also learn about the seasonality of a job board by understanding which months are stronger than others. 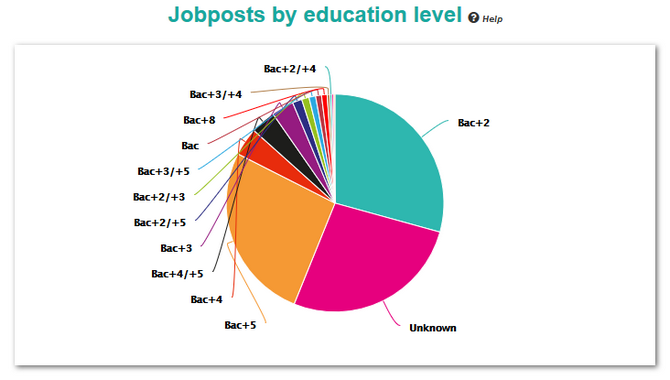 This analysis option lets you learn about the evolution of job advert numbers posted on a particular job board per quarter over the course of a year. 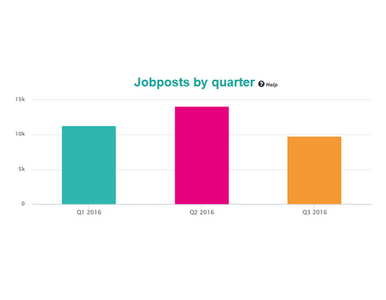 You can also learn about the seasonality of a job board per quarter so that you can launch your recruitment campaigns on an identified job board. 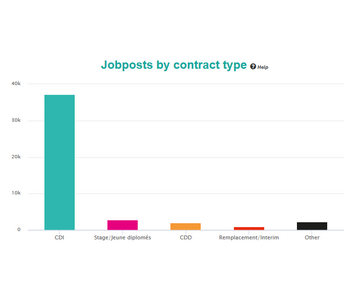 Analyzing the contract type will let you quickly understand if the adverts, which are regularly posted on a particular job board, are permanent contracts or other types. 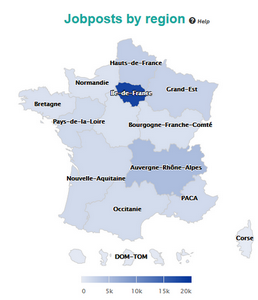 The interactive analysis by region option is an innovative part of our analysis and lets you quickly visualize which regions are the most attractive and dynamic in terms of employment among 500 job boards. Our profession search engine is a high performing tool that lets you manually search through the whole database for one or several professions so that you can learn the number of adverts available on a particular job board for a specific profession. Jobboard Finder has decided to join forces with Jobfeed to help you with your recruitment strategies and campaigns in Europe. We will soon be able to provide you with additional data for Spain, Italy, USA, and Canada. 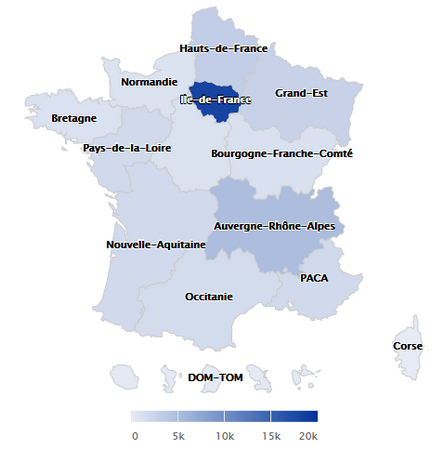 Knowing the price for each media in a given country or geographical area can be complicated when starting a recruitment campaign. 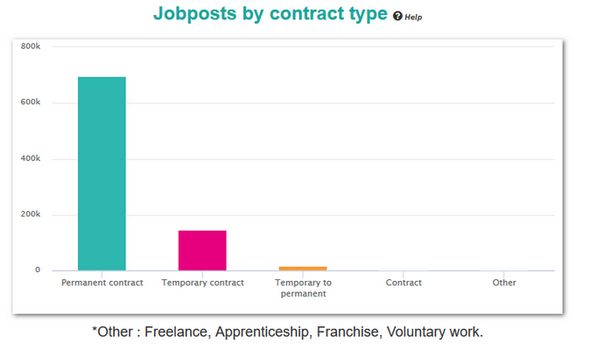 Thanks to our knowledge base, you can get a concrete idea of the cost of each job board for one or several advert. 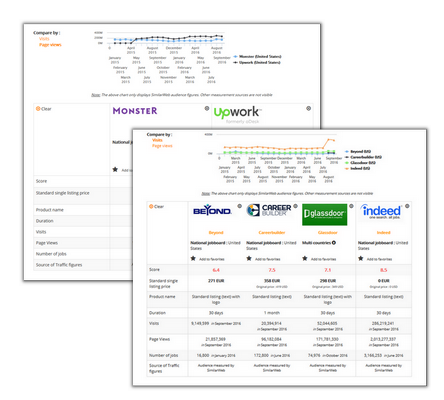 Jobboard Finder’s powerful comparison tool enables recruiters to compare up to 4 job boards at once according to objective criteria. 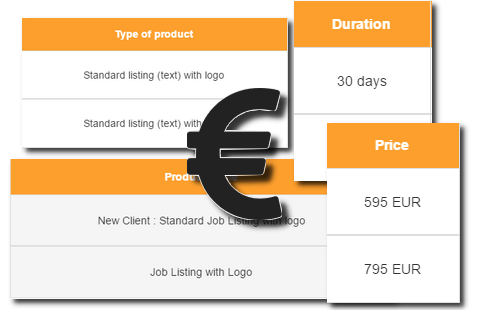 Audience figures, product prices and the number of job offers are examples of elements compared in our comparison tool. 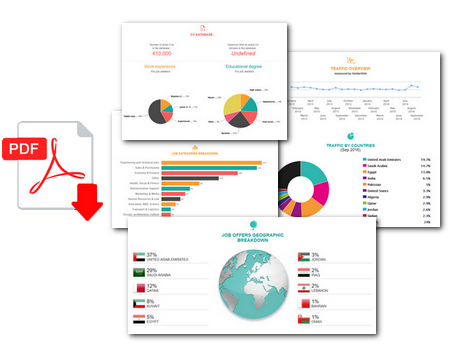 Our comparison tool helps you make the right decision for your recruitment campaign. Try it today! You now have the possibility to download each job board profile individually from our list of around 1000 profiles. This is imperative for your benchmarks and to present the market research & statistics to your direction. Our profiles are constructed in a way that means they contain exactly the type of information that you would find useful. The price, the audience figures, the content, and opinions, are all undeniable assets. Questions about Premium offers ? 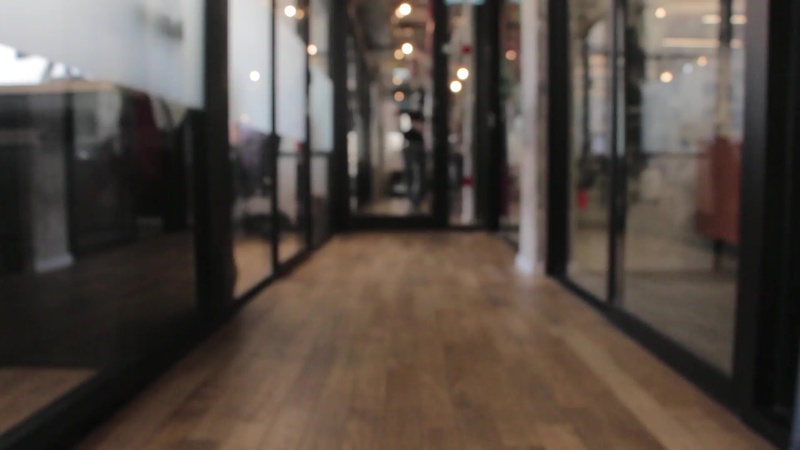 Our expertise on this Job market segment can help you speed up your recruitment process.